Are you looking for premium quality frost flex cups wholesale? Trust Cust-A-Cup to deliver you nothing but the best. We are a leading frost flex cups manufacturer, serving big and small businesses around the world. Committed to stick to international standards with our state-of-art facility and qualified team of professionals, we are fully equipped to cover all your distinct bulk requirements, sufficiently. At Cust-A-Cup, we believe in delivering buyers the best value for their money. In fact, this has been our core principle since inception. 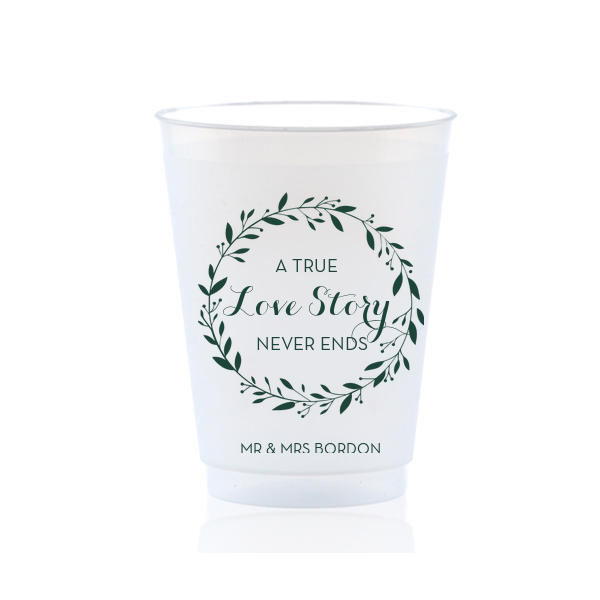 To make frosted plastic cups for wedding, parties and other social events, we use the best materials. These plastics, along with other inputs, go through multiple testing processes. And even after the final production, they are thoroughly and manually checked by our qualified workmen to ensure highest of quality of the end product. Cust-A-Cup takes pride in affordable pricing. We are a frost flex cups manufacturer who is just as stanched towards small businesses as we are towards big companies. Our pricing levels are industry-defining—highly affordable and flexible to suit even the smallest of pockets. We offer the lowest Minimum Order Quantity (MOQ). So even if your bulk requirement is little, you can trust us to deliver you with just as efficiently and affordably as possible. Not just quality and cost-effective, the wholesale that we offer can also be easily personalized. That’s right. You can use our custom frosted plastic cups to promote your products and brands. Our collection includes cups of various sizes and plenty of print options. So whatever kind of bulk requirements you’re looking for, and for whatever purpose, with the team of Cust-A-Cup by your side, stocking top-quality frost flex cups in tune with your requirements is very easy. So, order your personalized frosted plastic cups today. Get in touch with us with your order or for more information.